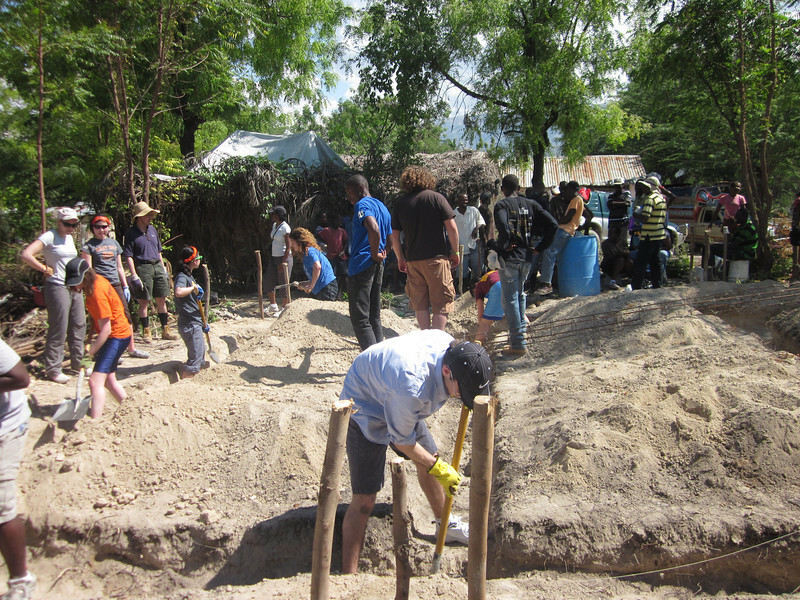 In March 2012, I went for a second time with a team of people (mostly from Westerly Road Church and from Princeton Evangelical Fellowship, with a few others from other churches) for about a week to help with rebuilding after the January 2010 earthquake. 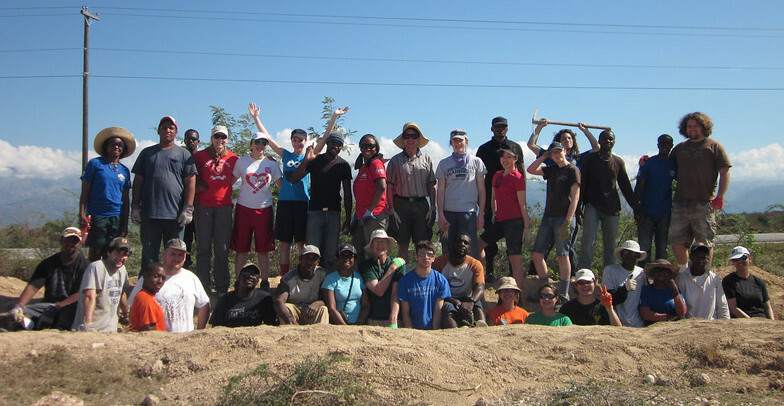 Pictured below is our team, along with some people from Foundation For Peace (FFP, the organization that hosted our visit) and other Haitian volunteers. Some of us are standing in a ditch that we were digging (more about the ditch below). 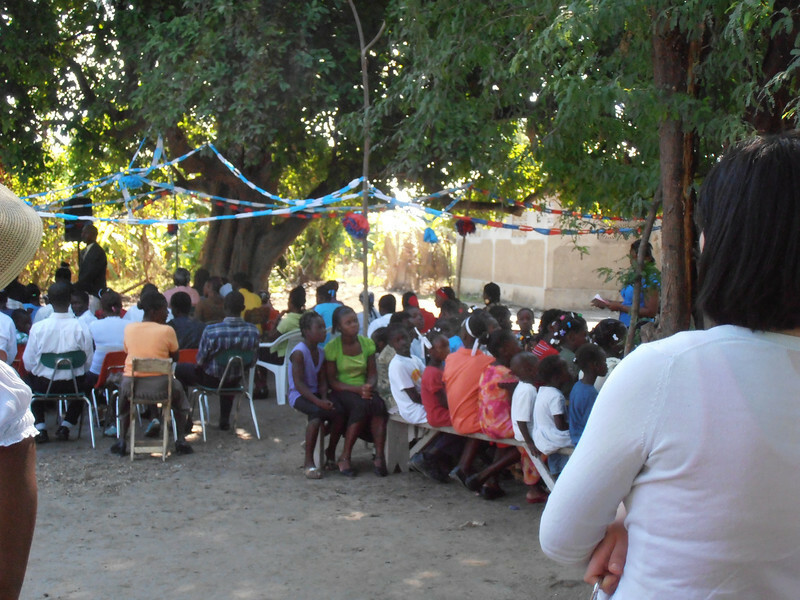 On our first Sunday in Haiti, we worshiped at a church in Kwa Kok, a poor agricultural village in a remote area of Haiti where FFP had built an aqueduct years ago. The church currently has no building, and worships outdoors. The photo below was taking during Sunday school; the adult class is on the left and the children’s class is on the right. One of our team members, John Schleh, preached the sermon at the church’s invitation. We had prepared some Bible school activities for the children after the service. We acted out a skit about the woman with a chronic bleeding ailment that Jesus healed (Luke 8:40–48), and we had the kids draw a picture of themselves being held in God’s hands. 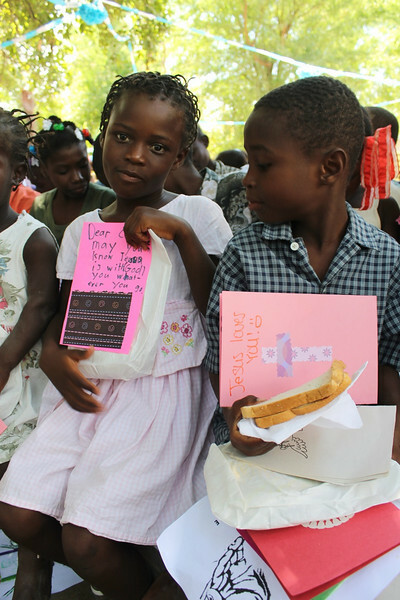 We handed out jump ropes and Valentines that our kids from Westerly Road Church had prepared. And we danced with them! In the background you can see the peanut butter and jelly sandwiches that we had prepared for all the kids and their parents. For some of them, it was their first meal of the day. 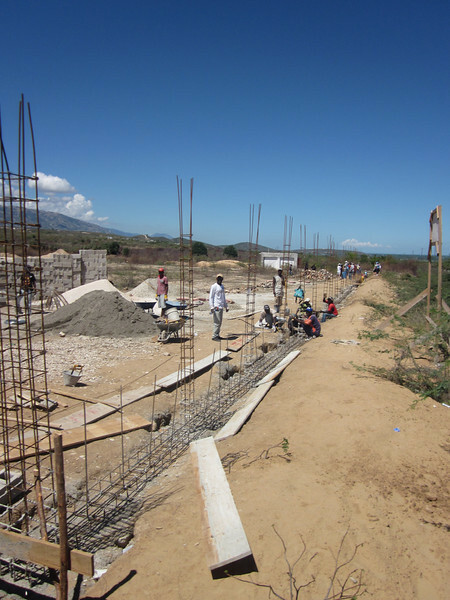 In the afternoon, we worked on a project that was not an official FFP project but one that Pastor Michel Valentin, the FFP director in Haiti, had taken on personally. 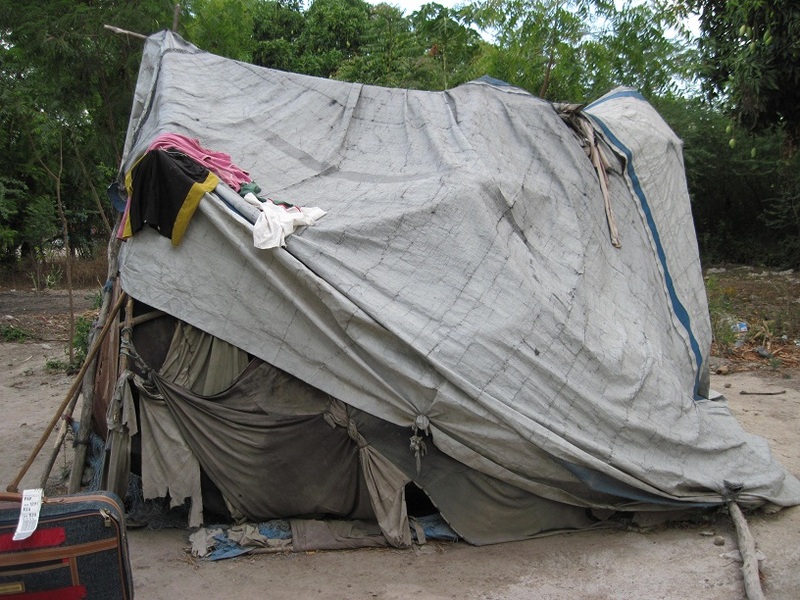 A widow called Ti Fiyèl was living in Kwa Kok with her children in a dilapidated tent with no floor; the picture below is borrowed from the blog of an FFP intern. The tent was infested with insects, and it flooded every time it rained (which, during the rainy season, was almost every day). 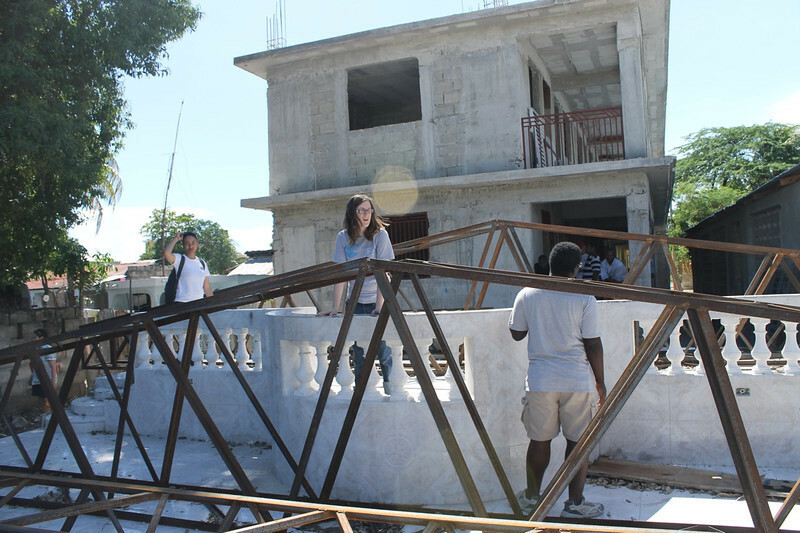 Along with the Kwa Kok church, we began to build a concrete house for Ti Fiyèl. Here we are working on the house. Ti Fiyèl owns the property but until now has not had the economic or human resources to build a house on it. Estimated completion time: three months. 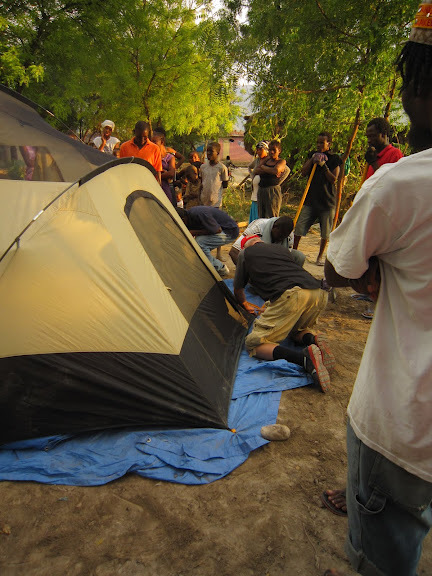 Later in the week, someone on our team donated a nine-person tent for Ti Fiyèl to live in in the meantime. Pictured here is that tent in the process of being set up. 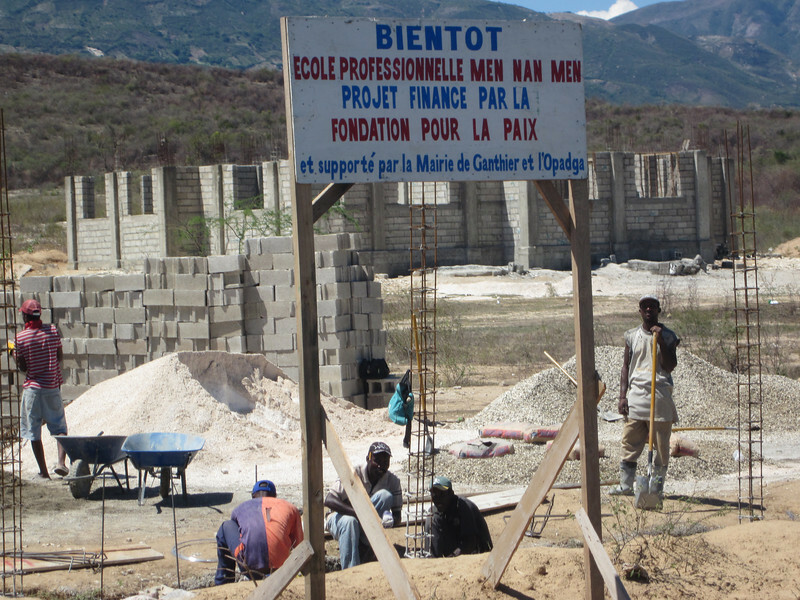 Our main project during the week was working on a site where FFP is building a vocational school near a town called Fond Parisien. 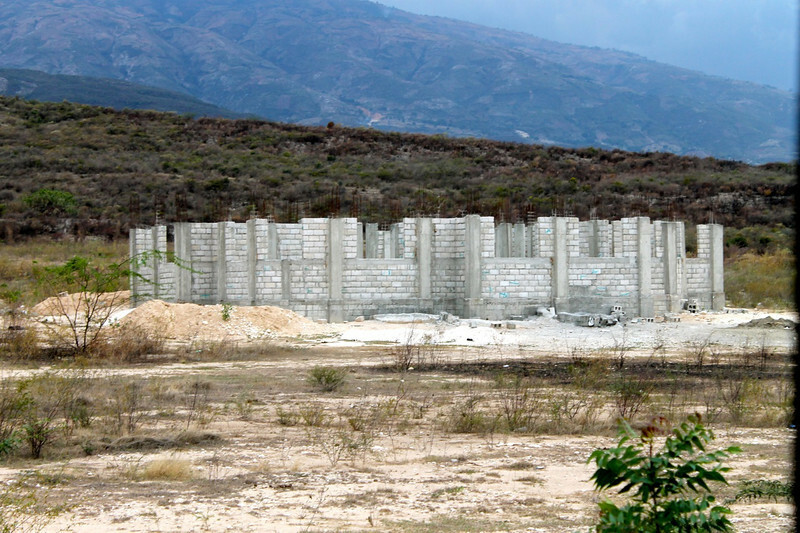 Fond Parisien is near the border with the Dominican Republic, and many IDPs (internally displaced persons) settled near here after being forced to return to Haiti from hospitals in the Dominican Republic shortly after the earthquake. When local community leaders were consulted, they emphatically asserted the need for a vocational school in the area. Many who died in the earthquake were not natives of Port-au-Prince but were forced to go there because their local communities had no opportunities for further education. 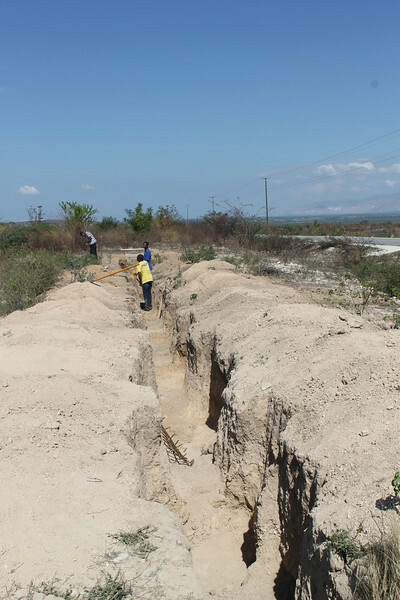 In March 2011, I worked with our team on digging the foundations for the vocational school. As you can see from the photo below, there has been considerable progress during the past year. However, we did not work on the school directly this time. Instead, we worked on the foundations for a wall in front of the site to keep out thieves. We spent a lot of time digging the ditch, as well as pouring concrete into it. 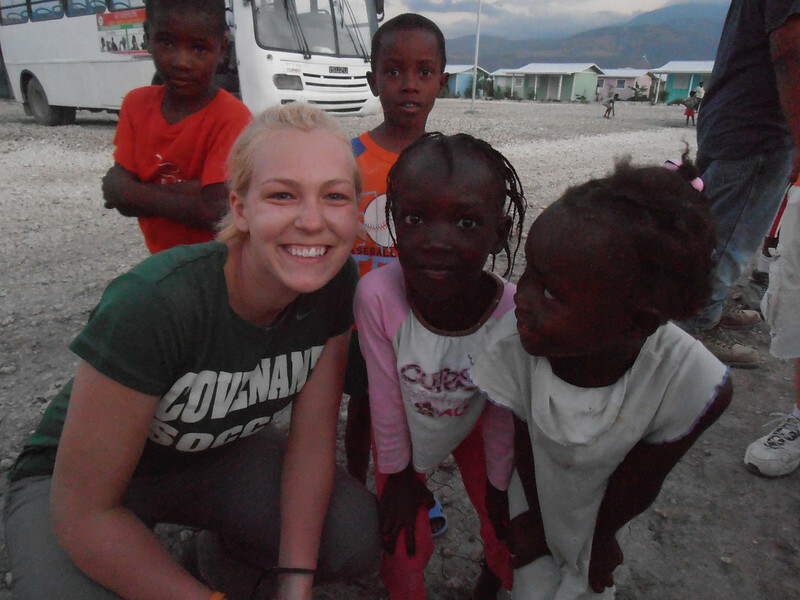 We worked alongside Haitians (some paid, but mostly volunteers) under the supervision of a Haitian foreman. I did not have a thermometer with me, but I estimate that the temperature was in the high 80’s (Fahrenheit) in the shade, and over 100 degrees out in the sun. Some of us stayed out in the sun too long and had to lie down for a few hours, but fortunately nobody got seriously ill.
One day while we were working, a family walked by our site. They had walked for hours to a hospital to have their baby treated, but had been turned away because they had no money, and were now on their long trek home. We were unable to help the baby, but we were able to dress a wound that the grandmother had on her leg. This was one of many unplanned opportunities during the week to be a blessing to someone. 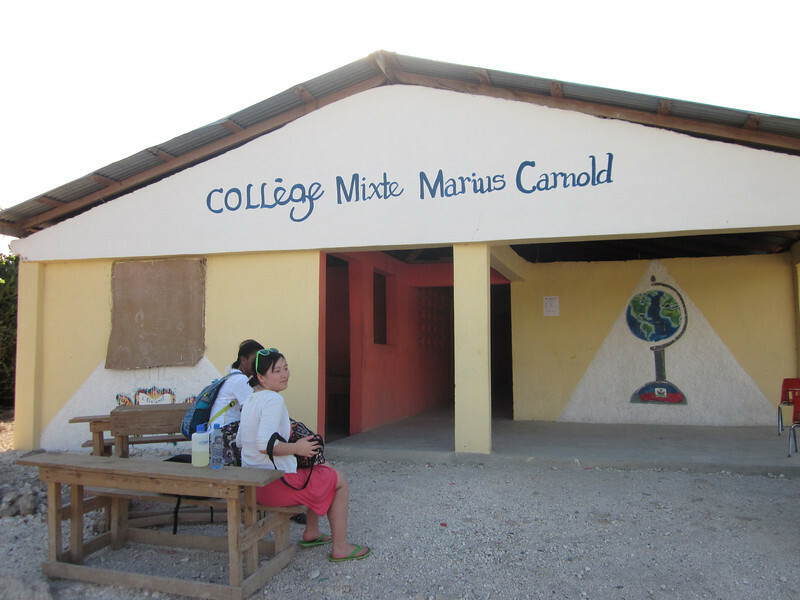 Near the site of the vocational school is a community called Camp Hope: Miracle Village that was built by Love a Child. 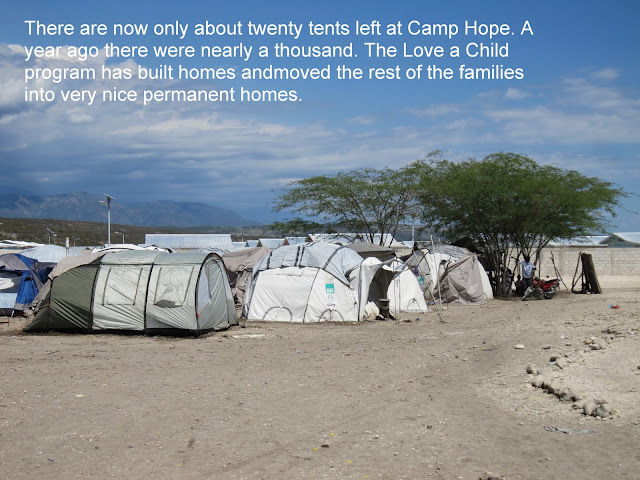 Initially almost everyone was living in tents. Here is one of our team members with some children from Camp Hope. In the background you can see some of the permanent houses. 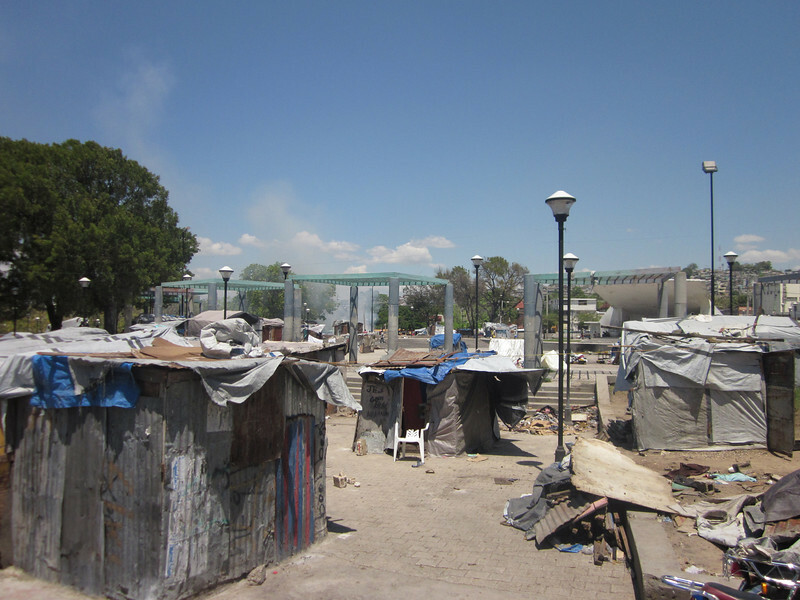 One morning we had time for a brief tour of the capital city, Port-au-Prince. 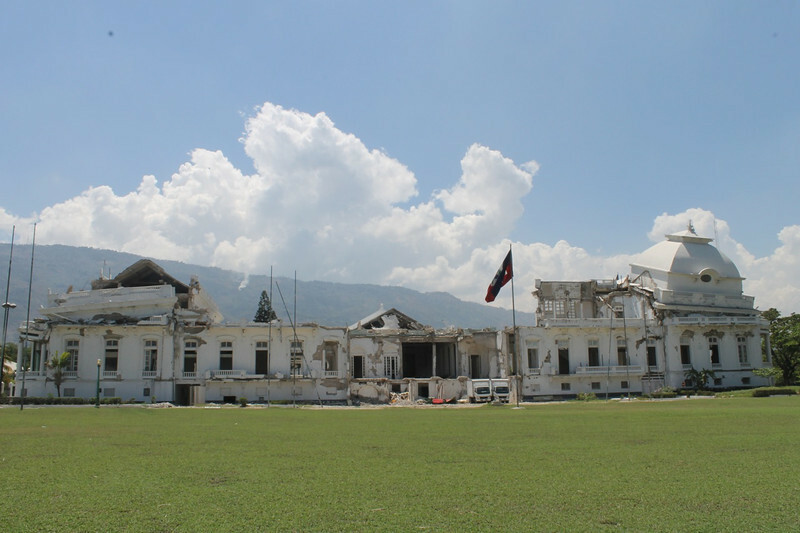 The presidential palace is in the process of being demolished and rebuilt, but as you can see, not much progress has occurred in the two years since the earthquake. 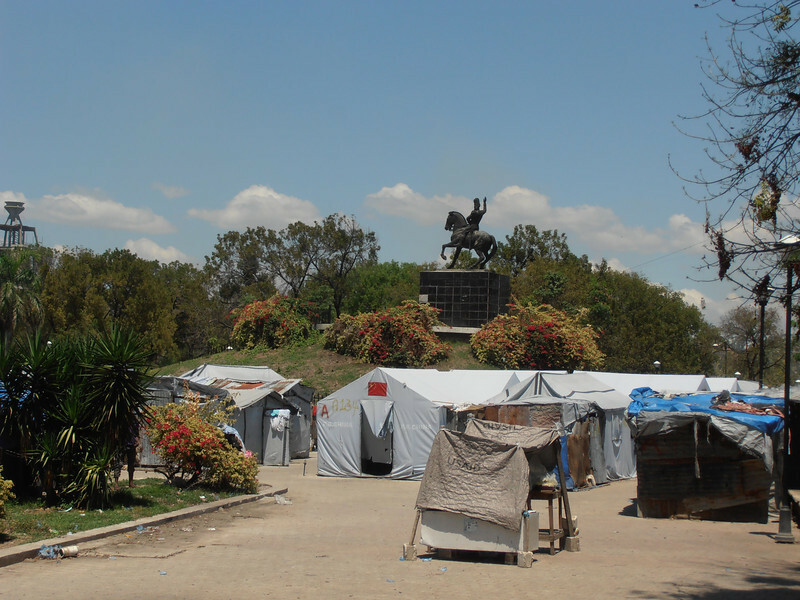 Near the presidential palace, a giant tent city formed soon after the earthquake. Many people have been moved out of the tents, but as you can see, many still remain. More tents in public places. The statue is of Jean-Jacques Dessalines, the first ruler of an independent Haiti (back in the early 19th century). 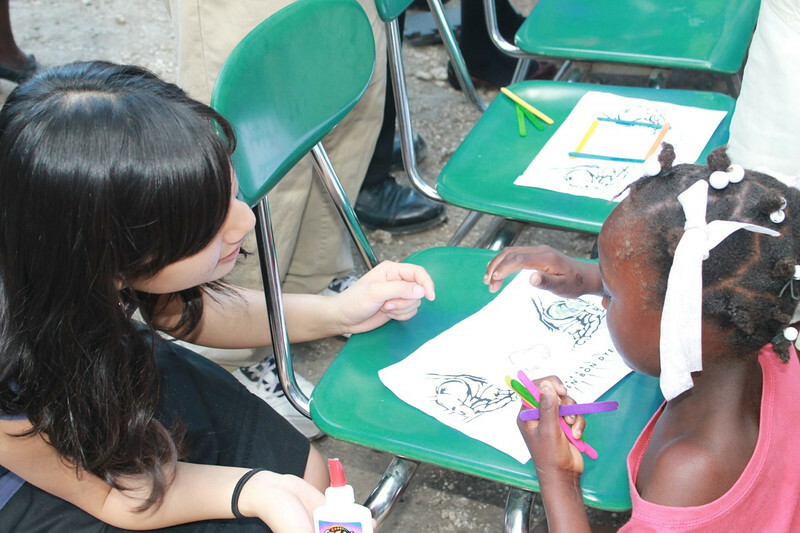 After our tour of Port-au-Prince, we returned to Kwa Kok and distributed hygiene kits to the villagers. 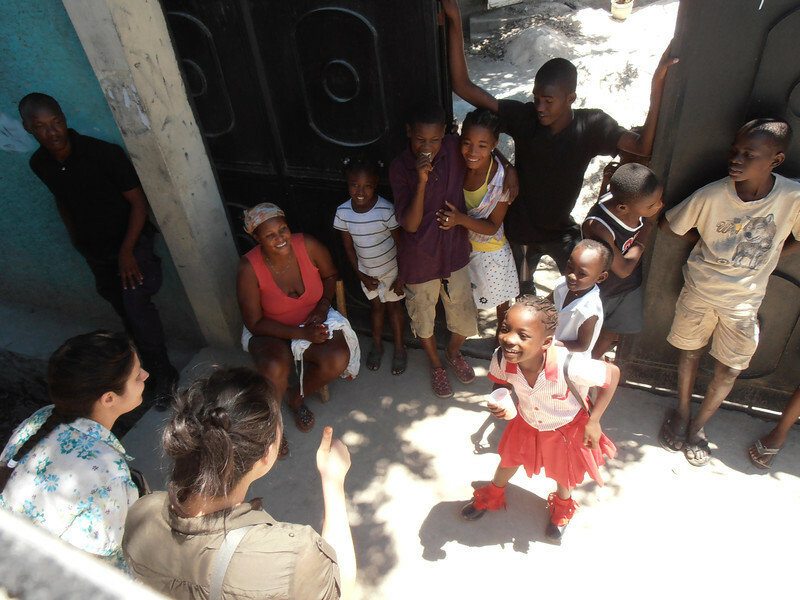 FFP insisted that we learn some Creole phrases and talk directly with the Haitians. The idea was to impress upon them how important it was to maintain good hygiene. 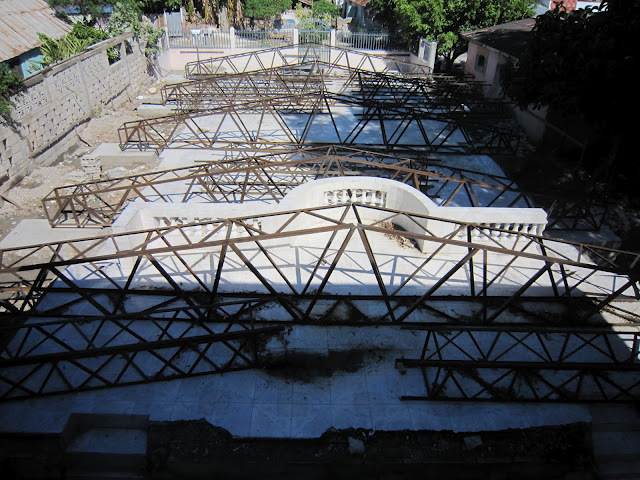 Towards the end of the week, we took a bus trip to a town called Arcahaie to visit a church that was destroyed during the earthquake and that Westerly Road Church is helping to rebuild. On the way, the bus broke down. The time was not wasted, though, as we had a good time interacting with some curious kids who gathered to watch us. 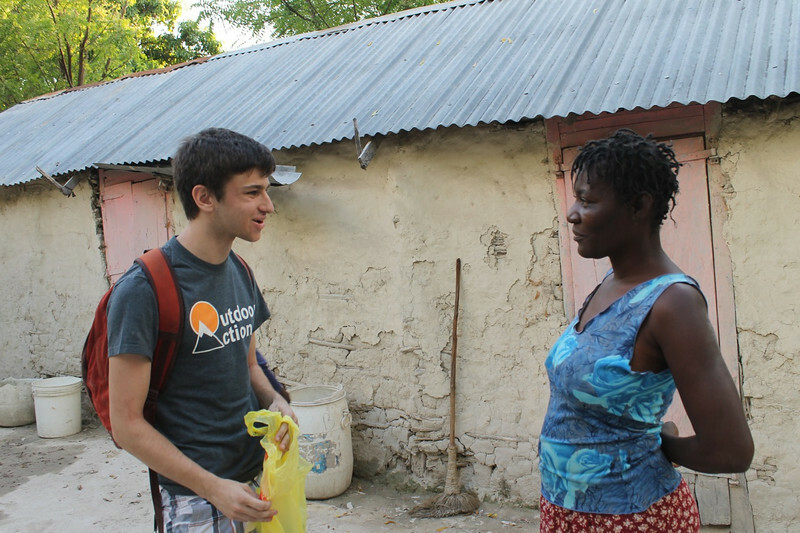 The importance of building good personal relationships with Haitians is sometimes undervalued by our American go-getter culture, which can elevate projects above people. 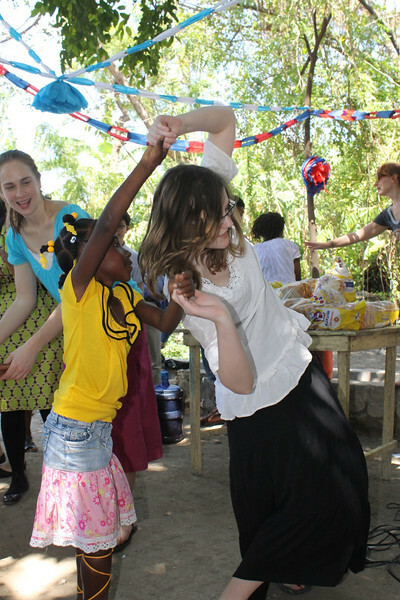 By and large, Haitian culture values personal relationships more highly than American culture does. This is the Église Évangélique Baptiste de l’Arcahaie. In the background is the school that the church runs; its reconstruction is almost complete, thanks in large part to the support of Church of the Saviour. In the foreground is the pulpit of the church. There are currently no walls or roof. The next step is to lift the girders that you see here onto pillars so that the roof and walls can be built. It so happens that Westerly Road Church is in the middle of its own building project, and it has pledged to donate 2% of all the funds it raises for its own church building to Église Évangélique Baptiste. A view of the church from the second floor of the school. 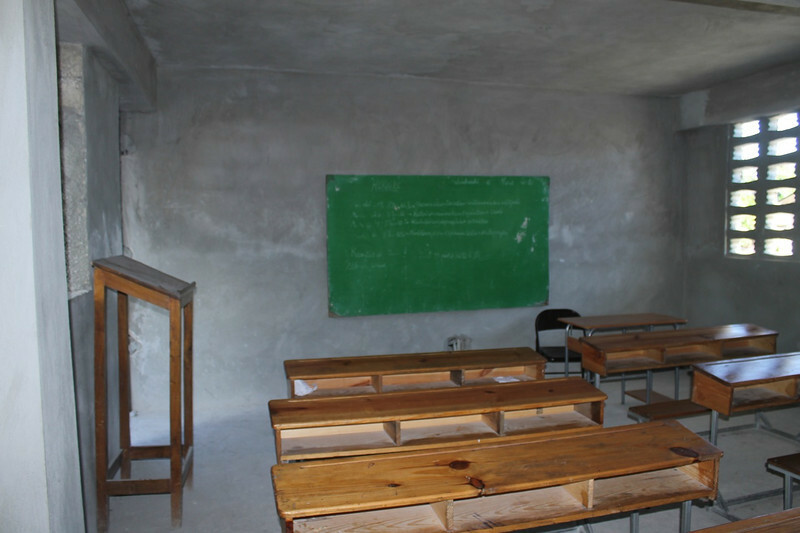 Both the school and the church are designed to be earthquake-proof. One government inspector declared that the school was one of the best examples he had seen in the region of an earthquake-resistant design. 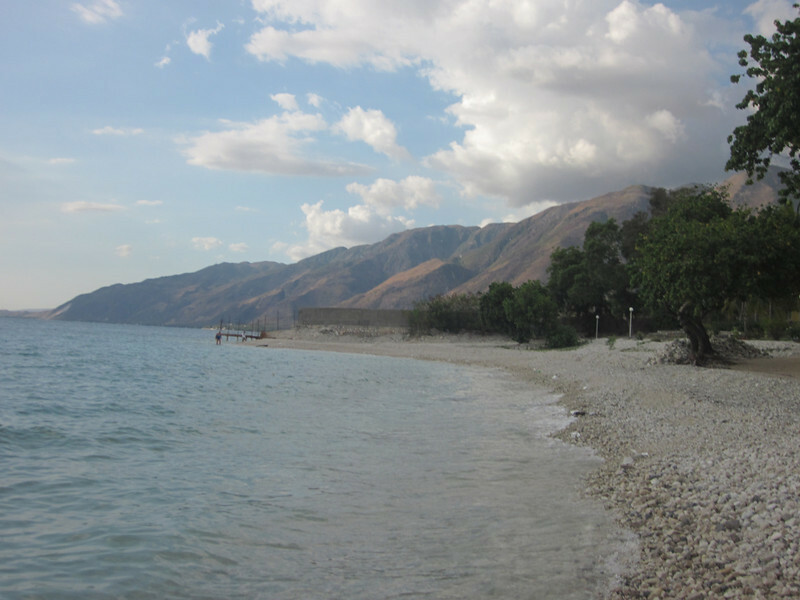 Let me close with an image that reminds us that in spite of all that it has suffered, Haiti remains a beautiful country. This photo was taken at a tourist resort in Arcahaie called the Kaliko Beach Club.